Wall Mounting Brackets, Screws And Truss Bar Can Be Inlcuded. 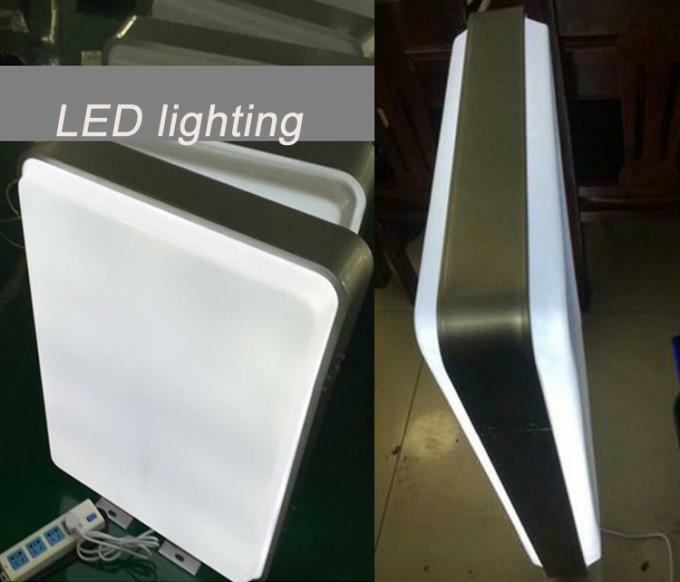 The rectangular vacuum forming light box is used LED light with long time using saving your maintenance,also can be the fluorescent tube as light source for an economic option. 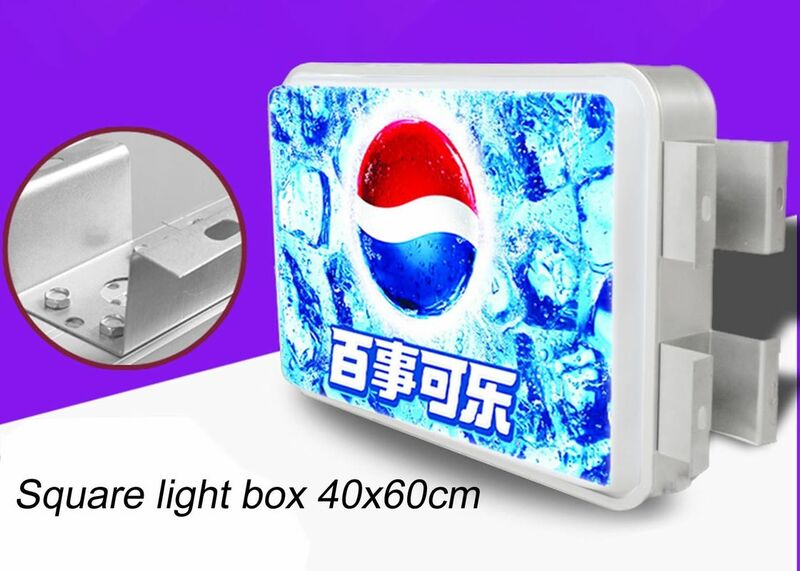 This light box widely application in kinds outdoor and indoor environment and make sure your store or restaurant to be more eye catching over the competitors. The light box frame is made by anodized aluminum frame and 3mm transparent or milk white acrylic plate. We can print your logo on the acrylic if uniform graphic required. If selling them with single qty ,we can make the milk white 3D vacuum blank surface and you can use printed vinyl film image applied on the sign face then selling to your customer. electrics request etc. We will be able to draw the application effec with your graphic to show what it will be. 2).3mm clear or milk white moulded acrylic with flat or sucking shape, Bulk order will be silkscreen printing your logo with UV ink . If retailer order, graphic you can sue Self-Adhesive PP Paper, Self-Adhesive Vinyl to make customized graphic for your customer. 4.) Vacuum forming sign we are using KK standard master carton for individual packing, the sign corner with good foam corner protecting. If sent by express or air cargo, MDF wooden box will be added for safety shipping. Main structure Front panel: acrylic,PC,PETG,PVC,ABS etc. Frame:Auminum profile (standard), Galvanize sheet or stainless steel for customs. Packing EPE foam/bubble bag+ MDF box packng. 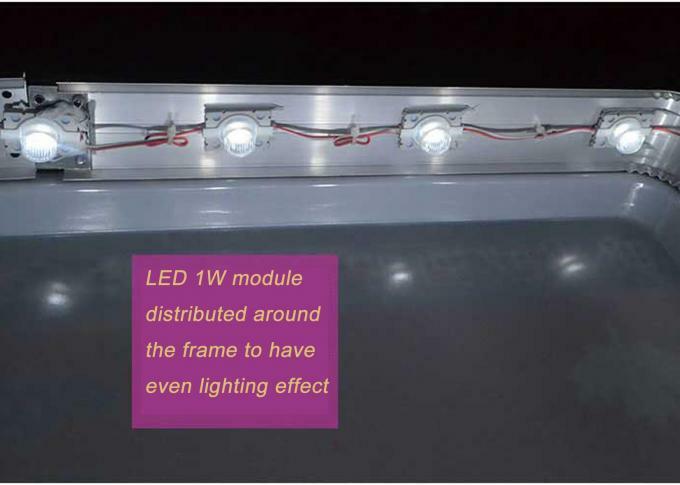 LED lighting source is even on the whole panel. No shadow appear comparing with the flourscent tube. 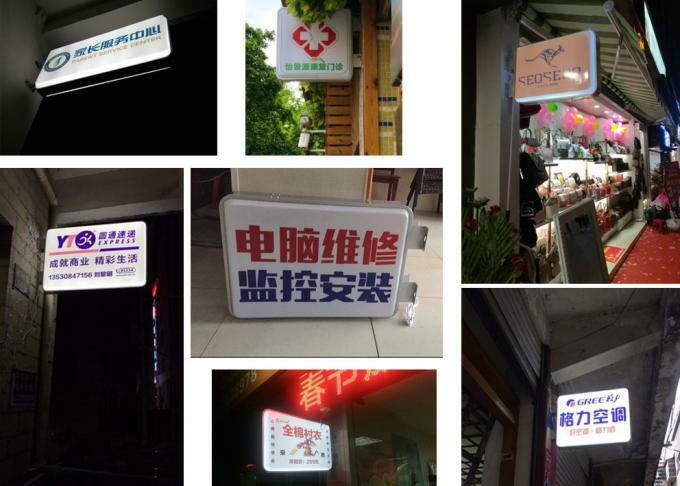 Our rectangular thermal forming light box widely used outdoor or indoor billboard showing, such as chian shops,chain hotels,super markets,store,bar and clubs,coffee bar etc. See the below outdoor shop store application. It's the best sign for you to let customer know who you are. Spare Parts: Wall mounting brackets, screws and truss bar can be inlcuded.